Questions about “the business model” sound a little different in Ukraine these days. One English-language newspaper is trying to build a sustainable future in an uncertain land. Doctor, Ken. "The newsonomics of the Kyiv Post’s embattled work." Nieman Journalism Lab. Nieman Foundation for Journalism at Harvard, 17 Apr. 2014. Web. 18 Apr. 2019. Doctor, Ken. 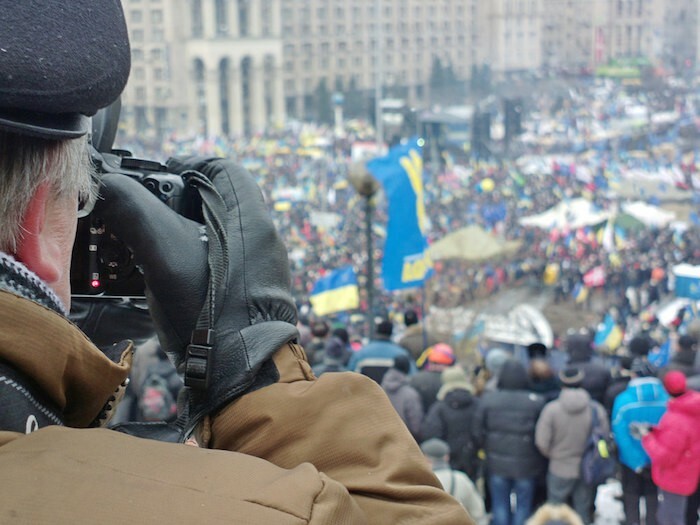 "The newsonomics of the Kyiv Post’s embattled work." Nieman Journalism Lab. Last modified April 17, 2014. Accessed April 18, 2019. https://www.niemanlab.org/2014/04/the-newsonomics-of-the-kyiv-posts-embattled-work/.